Are reverse mortgages available with a fixed rate that never changes? Do some reverse mortgages have adjustable rates? What is the adjustable rate based on? Adjustable rates are based on either the 1-month LIBOR index or the 1-year LIBOR index. The LIBOR index is a published rate (Wall Street Journal) that is not controlled by the lender. Are there caps on the adjustable rates? Yes, there are two types of caps. There is an annual cap, which means that the rate can never go up by more than 2% in any one year. And there are lifetime caps: 5% over the start rate for the annual adjustable type and 10% over the start rate for the monthly adjustable reverse mortgage. PL stand for Principal Limit and it is the maximum loan amount. Is the amount of money I can get higher the older I am? Yes, up until 90 years old. For calculation purposes, the borrower’s age caps at 90. Consider three people, all the same age, all getting a reverse mortgage at the same time. Would the homeowner with the $2 million dollar house get more proceeds from an FHA reverse mortgage than the other two? No, a house worth more than $625,000 would be treated just like a house worth $625,500 in terms of how much money they can get from a reverse mortgage. Use our reverse mortgage calculator NOW! What affects how much money can you take out with a reverse mortgage? There are three main factors that affect how much money you can take out with a reverse mortgage. That amount is called the Principal Limit and it is affected by the Max Claim Amount (home’s value), the age of the youngest borrower, co-borrower, or spouse of a borrower, and something called the Expected Rate. What is the best way to determine the Principal Limit – how large a reverse mortgage someone is eligible for? The Department of Housing and Urban Development (HUD) has Principal Limit Factor Tables that were changed substantially in August, 2014. The best way to determine the amount is to use a reverse mortgage calculator; like the one provided on this website. Use Our Reverse Calculator NOW! Can older borrowers get more money than younger borrowers? The amount of money a borrower can get from a reverse mortgage depends on several factors and one is age. But remember, it is the age of the youngest borrower, or their spouse – even if that spouse isn’t on the loan. This is a change from the past. Also, the benefit of being older (in terms of getting more money) stops at 90. Any one over 90 is treated the same as someone who is 90. What percentage of the home’s value can someone borrow? Remember, the home’s value is capped at $625,500, and the amount someone can get is also affected by the Expect Rate – the higher the expected rate, the less they can get. If the Expected Rate is 5% or less, the range is 52.4% to 75%. If the Expected Rate is 7%, the range drops to 31.2% to 57.8%. What fees does the borrower have to pay for? Most all loan fees are paid for with loan proceeds. The two typical exceptions are the appraisal and the counseling fee. What does the mortgage insurance on a reverse mortgage cover? Mortgage insurance protects the borrower in case of lender default and it protects the lender in case of borrower default. If a lender goes out of business, FHA will ensure the proceeds available in a line of credit remain available and term or tenure payments continue monthly without interruption. How much is mortgage insurance? There are two components to mortgage insurance: an upfront premium and an on-going annual premium. Upfront mortgage insurance – is 0.5% when the initial disbursement is 60% or less than the Principal Limit. However, it is 2.5% when the initial disbursement is greater than 60% of the available Principal Limit. Upfront mortgage insurance is calculated on the Maximum Claim Amount (home’s value). Annual mortgage insurance – is 1.25% of the loan balance and it is charged over the life of the loan. The Initial Disbursement Limit dictates how much the borrower can receive in the first year. It is a new disbursement rule that pertains to all payment options. What must be paid off initially from reverse mortgage proceeds? When must a Repair Set-Aside be put in place? Repair Set-Asides are mandatory if the appraisal notes needed repairs in excess of $500. If the appraiser estimates the cost to fix items, then two times (2x) that amount must be held back. If a contractor estimates the repair costs, then only one and a half times (1.5x) must be held back. When do repairs have to be completed? All repairs must be completed in a manner approved by HUD. The repairs can be completed after closing if they cost less than 15% of the Maximum Claim Amount (home value). If the repairs will cost between 15% and 30% of the MCA (Maximum Claim Amount), they must be completed before closing. If repairs will cost more than 30%, HUD must review the property. However, an appraiser should never reject a property outright. When was the first FHA-insured mortgage funded? The first HUD/FHA-insured reverse mortgage (also known as a HECM – Home Equity Conversion Mortgage) was funded in 1989 in Kansas City, Missouri.  The first non-FHA reverse mortgage was funded in 1961 by a private company in Portland, Maine. What types of reverse mortgages are common? What are the rules for refinancing an FHA-insured reverse mortgage (HECM)? To refinance an existing reverse mortgage with a new reverse mortgage, the existing HECM must be in good standing, it must be at least 6 months old, and the new Principal Limit (maximum loan amount) must be five times (5x) the cost of the refinance. What are the rules when using an FHA-insured reverse mortgage (HECM) to buy a home? Why would people use a reverse mortgage to buy a home? Common reasons why reverse mortgages are used in purchase transactions include: downsizing to a smaller or easier to maintain home, moving into a 50+ community, purchasing a home closer to family, moving into a home with more modern amenities or that is easier to navigate (like a one-story house). Why does a reverse mortgage have to be in both first and second lien position; there’s only one loan? With a reverse mortgage, the lender is in first lien position and HUD is in second lien position. This is to protect the homeowner in case the lender defaults or goes out of business. FHA insurance will ensure that the homeowner gets all payments or benefits to which they’re entitled. What are the qualification rules to being a borrower on a reverse mortgage? The borrower must live in the home more than half the year. Do non-borrowing spouses affect reverse mortgage qualifications or proceeds? Yes, non-borrowing spouses (NBS) have certain rights and they affect how much a reverse mortgage can be. A non-borrowing spouse does not have to be 62 years old, but the younger they are, the less the borrower can get. Can a non-borrowing spouse stay in the home after the last borrower leaves or passes away? The non-borrowing spouse has 90 days after death to establish legal ownership or legal right to remain in the home. Will a non-borrowing spouse receive funds after the borrower passes away? No, the non-borrowing spouse will not have access to the line of credit and they will not continue to receive any regular monthly payments. Can a home in a trust get a reverse mortgage? Yes, it must be a revocable trust, the borrower must be named as the beneficiary in the trust documents, and the beneficiary and trustee must sign the security instrument. Is a property held in a conservatorship eligible for a reverse mortgage? Yes, whether the person unable to make legal decisions is incompetent or incapacitated, their property can be eligible for a reverse mortgage. The conservator must sign the security instrument. Can a power of attorney (POA) be used for a reverse mortgage? Yes, an Attorney-in-fact (the caretaker with authority to manage financial and healthcare decisions) can enter into a reverse mortgage on a borrower’s behalf. The Attorney-in-fact signs the security instrument and other loan documents. Are life estates eligible for an FHA-insured reverse mortgage (HECM)? Yes, if everyone with a legal interest signs the security instrument. Can someone only get a reverse mortgage on their primary residence? If the borrower lives in a health care facility for more than one year, the loan is due. What types of homes are eligible for a reverse mortgage? Mixed use property so long as the commercial square footage is less than 25%. What are some of the benefits of a HECM (FHA-insured reverse mortgage)? The FHA reverse mortgage has changed considerably over time in an effort to increase the likelihood that the borrowers and the program are safe and sustainable. What do people commonly use the proceeds from a reverse mortgage for? What are the different payment options with reverse mortgage? Does the reverse mortgage Line of Credit get bigger over time? Yes, the amount available increases whether the borrower draws from the line or not. The rate of increase equals the current note rate (index + margin) plus 1.25 (annual mortgage insurance percentage). Does a reverse mortgage impact entitlements? It does not impact Social Security benefits or Medicare benefits but it may impact Medicaid and Supplemental Security Income (SSI). What are the steps involved in getting a reverse mortgage? When does the FHA-insured reverse mortgage (HECM) have to be repaid? Or when the last eligible non-borrowing spouse stops living there. United American Mortgage Corporation. NMLS #1942 (www.nmlsconsumeraccess.org). 27101 Puerta Real #150, Mission Viejo, CA 92691. Toll free 800-708-5626. CA Bur of Real Estate – Broker License #01154798; CA 3198-F Airport Loop Dr, Costa Mesa, CA 92626; AZ (MB-0910689); ID (MBL-2720); CO (100012370); CT (10733); OR (ML-2294); UT (MLCO-5497685); WA (CL-1942, MB-1942); FL (MLD851). Some products may not be available in all states. Information, rates and pricing are subject to change without prior notice. This is not a commitment to lend. Other restrictions apply. Equal Housing Lender. ¹If you qualify and your loan is approved, a HECM Reverse Mortgage must pay off your existing mortgage(s). With a HECM Reverse Mortgage, no monthly mortgage payment is required. Borrowers are responsible for paying property taxes and homeowner’s insurance (which may be substantial). We do not establish an escrow account for disbursements of these payments. A set-aside account can be set up to pay taxes and insurance and may be required in some cases. Borrowers must also occupy home as primary residence and pay for ongoing maintenance; otherwise the loan becomes due and payable. The loan becomes due and payable when the last borrower, or eligible non-borrowing surviving spouse, dies, sells the home, permanently moves out, or defaults on taxes and insurance payments, or does not comply with loan terms. Call 1-800-208-1252 to learn more. A Reverse Mortgage increases the principal mortgage loan amount and decreases home equity (it is a negative amortization loan). These materials are not from HUD or FHA and were not approved by HUD or a government agency. ²Social Security benefits estimator available at www.ssa.gov/estimator. ³Loan proceeds are paid tax-free; consult your tax advisor.